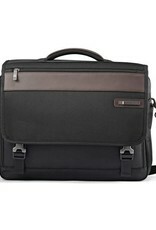 • Made of rugged ballistic nylon with genuine leather details. 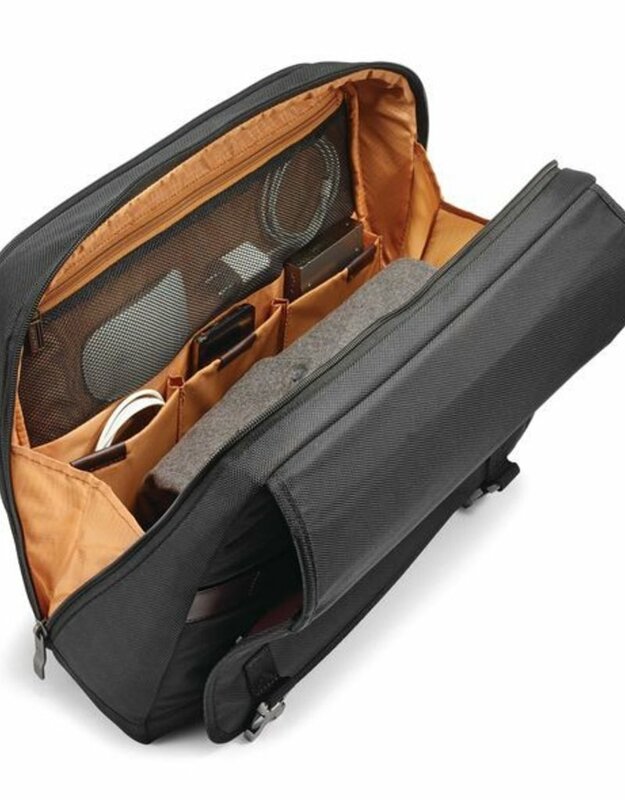 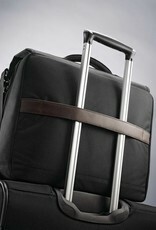 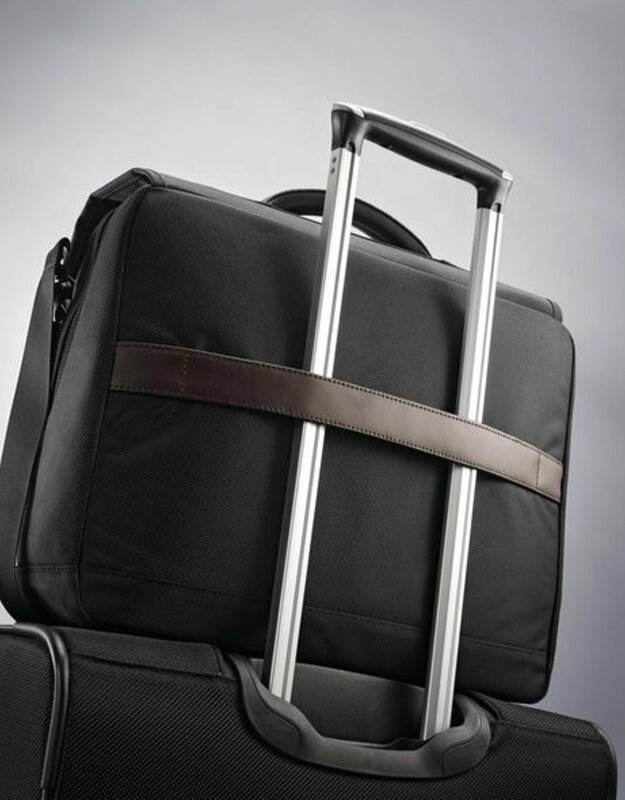 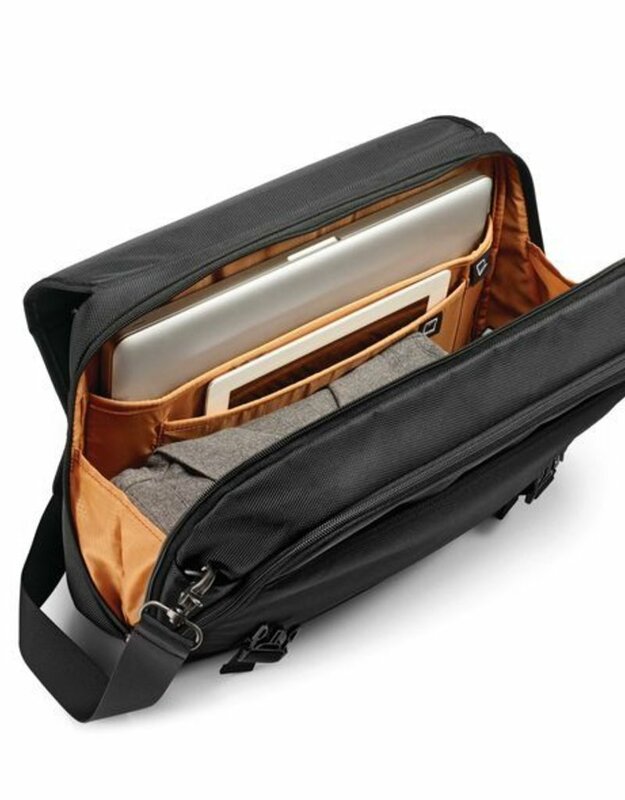 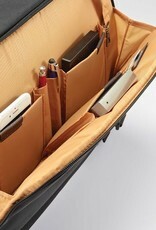 • Padded laptop compartment fits up to 15.6" laptop. 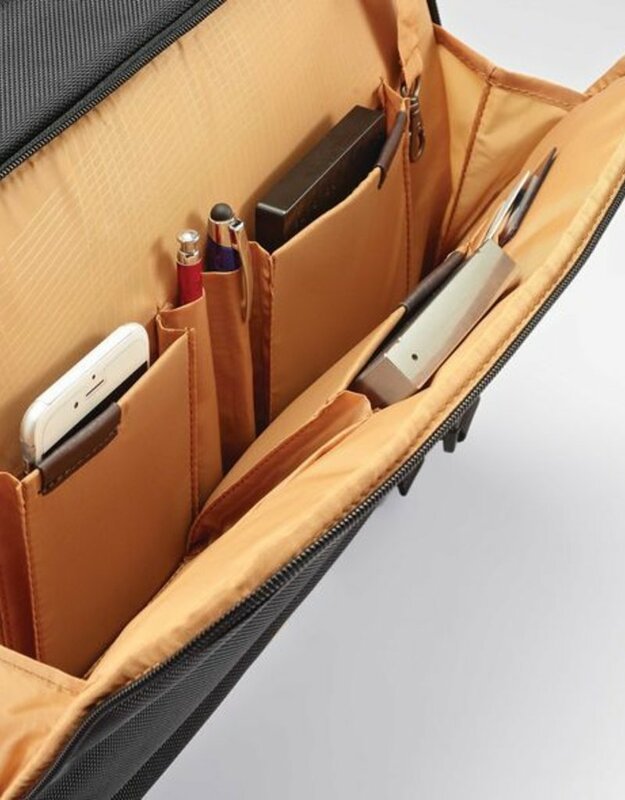 • Business organization features include key fob and multiple pockets for organization. 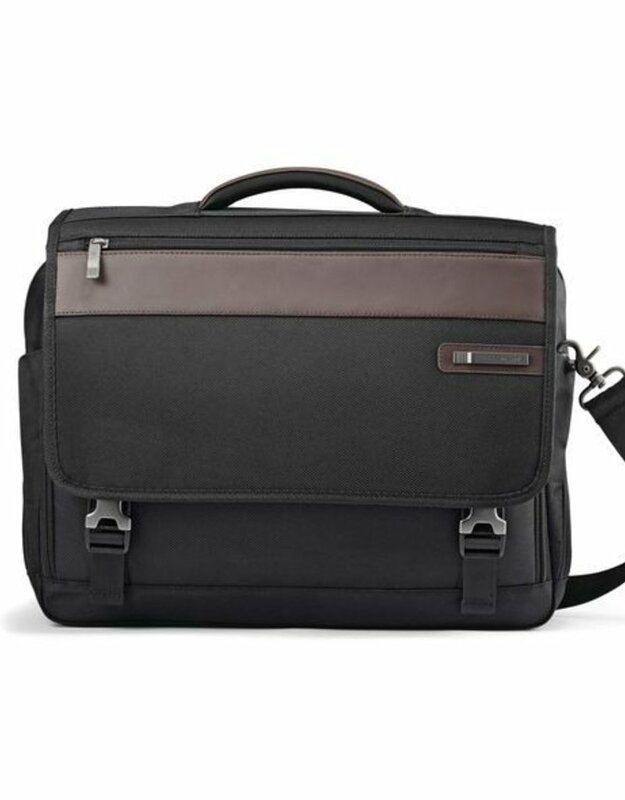 • Adjustable, removable shoulder strap. 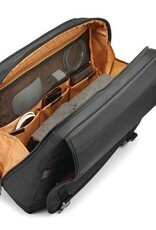 • Padded top handle for a comfortable carry option.